Hamilton's top boarding kennels and cattery Longtail Pet Motel debut new video. 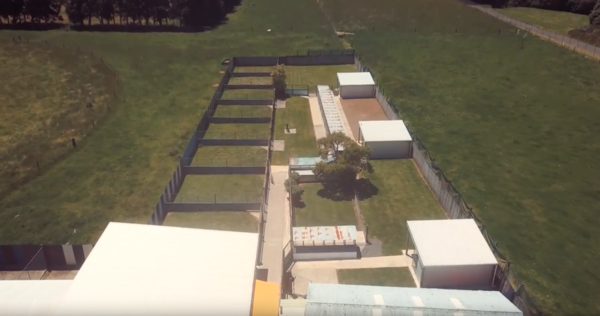 The friendly and professional team at Hamilton’s boarding kennels and cattery, Longtail Pet Motel, have launched a new video. “We are excited to share with everyone the awesome facilities that we have here at Longtail Pet Motel,” says Longtail Pet Motel. The video shows off Longtail Pet Motel’s ample and spacious facilities so that you can see that your pet will be individually housed in its own secure enclosure. “You can see in the video that by individually housing your pets we find that this helps them to relax without the continual worrying presence of other animals as well as the extra anxiety of being in unfamiliar environment,” add Longtail Pet Motel. In the video you will see that Longtail Pet Motel’s large, secure and grass enclosure ensures that dogs can exercise safely and individually. The video also showcases the variety of enclosures for different sized dogs meaning there is the perfect housing for your pet no matter what size it is. You will also the spacious and comfortable bedding that is available to both cats and dogs. Your pet will also be fed individually as well to ensure your pet receives a full ration. Fresh water is also supplied. “For pets that have their own special diets our dedicated and talented staff can adapt to your pet’s unique feeding requirements and needs,” comments Longtail Pet Motel in Hamilton. If you are looking for a place to look after your pet as an individual then talk to the team at Longtail Pet Motel team in Hamilton today. Their commitment to reducing pet stress and providing consistent high-quality individual care is second to none.